In remarks made before Mexico's electoral court certified his victory on Wednesday, July 8, President-elect Andres Manuel Lopez Obrador promised to fulfill all of his campaign promises and not let the people down. 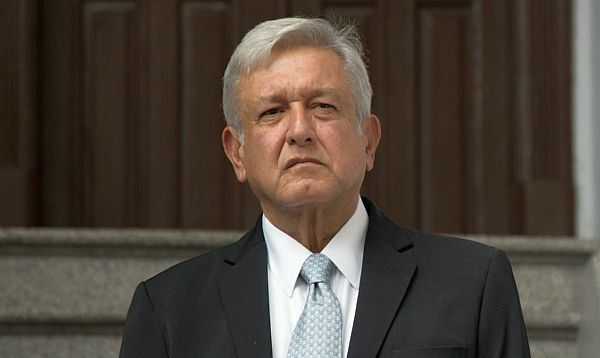 Mexico City - Mexico's electoral court has certified the July 1 victory of President-elect Andres Manuel Lopez Obrador. The leftist candidate won in his third try for the presidency with a resounding 53 percent of the vote. The formality carried out Wednesday allows Lopez Obrador to officially begin the transition to the presidency. He will take office December 1. In remarks before the electoral court, Lopez Obrador promised to fulfill all of his campaign promises and not let the people down. Court President Janine Otalora called the election "historic" and says it showed the maturity of Mexico's democracy. Lopez Obrador was the candidate of a leftist coalition composed of his Morena party, as well as smaller political parties.